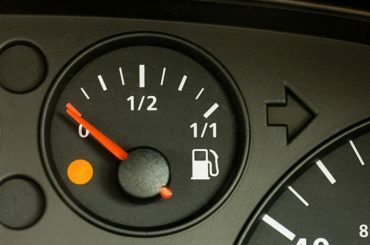 Is the reserve release tank running on empty? Canadian Underwriter	Is the reserve release tank running on empty? The Canadian property and casualty industry saw its reserve releases contract in 2018 to their lowest level in seven years, according to MSA’s Q4 2018 Quarterly Outlook. Expressed as a percentage of loss development margin, reserve releases last year amounted to 5.92% – down significantly from a 9.37% reserve release in 2017 (which followed the Fort McMurray wildfire the year before). In fact, between 2012 and 2018, reserve releases never dropped lower than 6.4%. The industry’s combined ratio elevated by two points in 2018, up to 98%, as reported by MSA. This, despite the fact that the industry grew its direct premiums written last year by 8% and net earned premium by 9%. Claims costs outpaced increased revenue for the Canadian P&C industry last year, resulting in a nearly 20% drop in net income in 2018. Eclipsing the premium gains, claims costs increased by 15.2% and underwriting expenses increased by 11.3%, effectively halving the industry’s underwriting income last year – from $1.7 billion in 2017 Q4 to $788 million in 2018 Q4. A 33% drop in the industry’s net investment income last year did not help. The industry’s return on equity (ROE) dropped to 6.25% in 2018 Q4, down from 7.83% over the same period last year. The dynamics responsible for the deteriorating results are familiar to all, including auto insurance woes in private markets across the country, and signs of hardening in specific commercial lines such as surety, boiler and machinery, D&O, and large (non-cat) property losses for some carriers. Plus, the industry paid out more than $2 billion in claims related to catastrophe losses last year – including 12 catastrophes (events with losses over $25 million) and nine notable events (events with losses between $10 million and $25 million). “There was no mega-loss in Canada in 2018, but the frequency of events has taken its toll, as these smaller events often remain within primary companies’ retention,” Baker wrote.